After doing mostly abstracts for the last couple weeks, it’s time to catch up on BeStill52. The assignment from a couple weeks ago was butter and eggs. 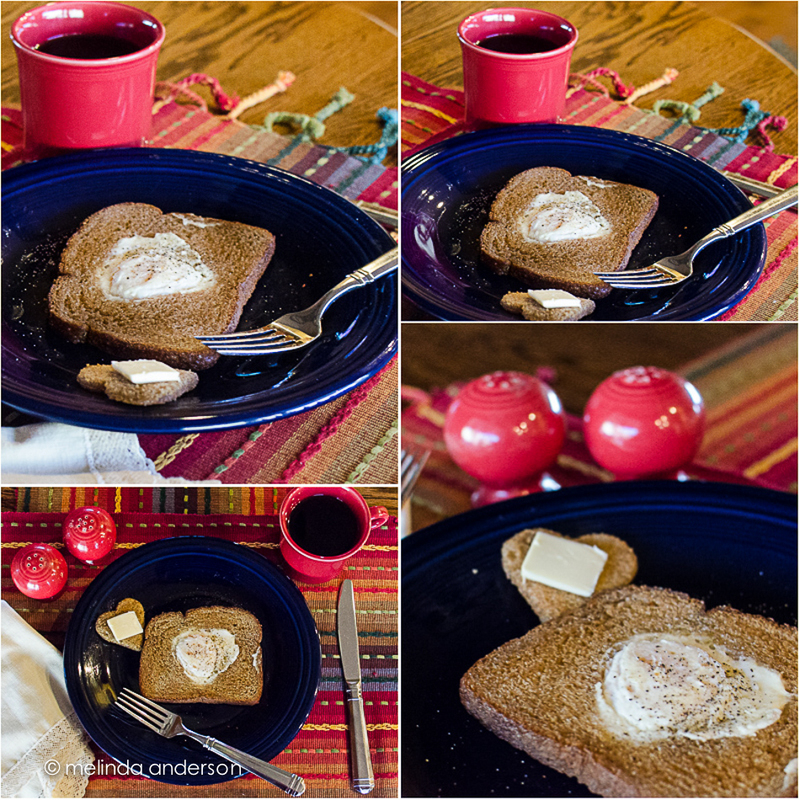 I decided to make Egg-in-a-Hole for breakfast (something my daughter does for her kids), which fit the bill! This entry was posted on December 1, 2014 by Melinda. It was filed under Be Still 52, food, still life, tabletop . This looks delightful. Cheerful place settings. Bright colors. I like the heart toast , do you make that for Lonnie every morning ?